Nalle Pahlsson lives the life which many home musicians aspire to: he is a performing, singer songwriter whose principle professional activity is: performing and recording rock music. Â Since the early Eighties, he’s been in demand as a bass player in his native Sweden, playing everything from mainstream pop to metal. 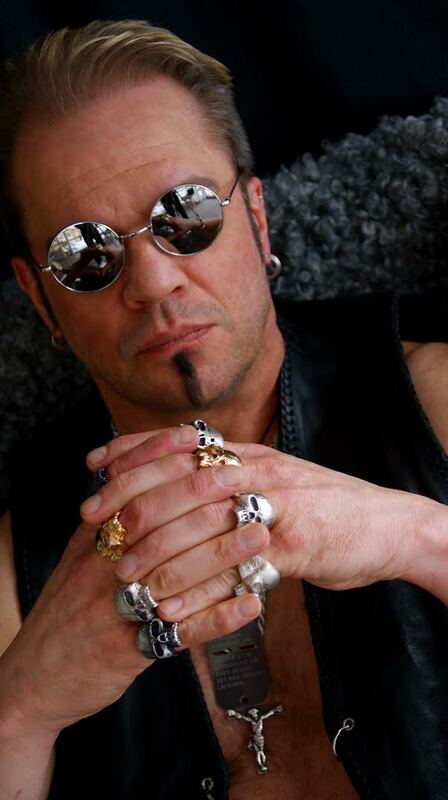 Â He makes powerful, melodic hard rock rooted in the Seventies and Eighties, bothÂ as a bass player for many acts, including Therion and Last Autumn’s Dream, as well asÂ under his own moniker, Royal Mess, in which he also takes on lead vocals. Â Naturally, the SingingBassist wants to know more. In this conversation, Nalle illustrates how much customization he has performed to his tool-set, including unique tunings, custom strings and a minimalist approach to amplification. Â He also reveals his complete self-reliance on his ears for acquiring music. Â No notes, no cheat-sheets. Â Purely the senses with which we are all born. 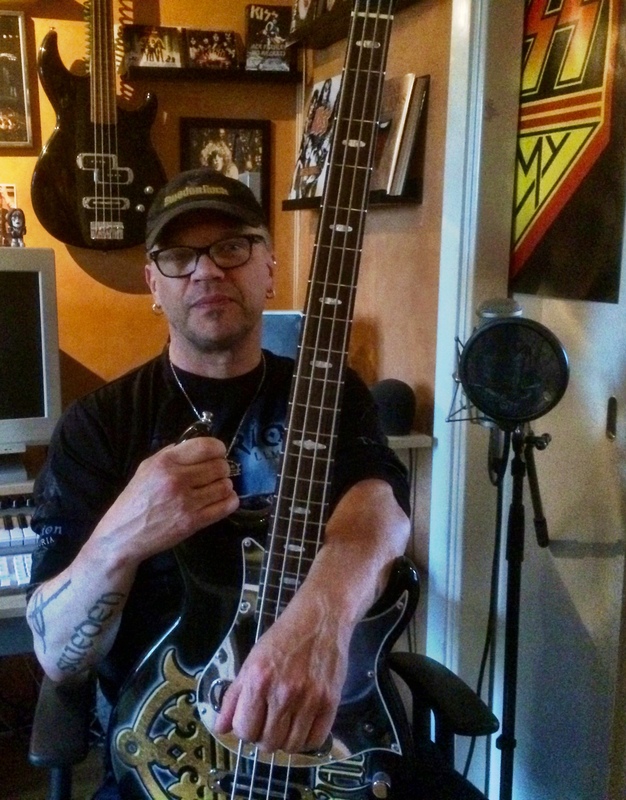 In light of this event, we present here, our recent conversation with Singing Bassist Nalle Pahlsson. Â Check out his band atÂ http://www.royalmess.se/. SingingBassist.com: Thank you Nalle for making time. Â Firstly, I am intrigued by some of your quotes. I assume this quote refers to your work collaborating with other songwriters. What are your preferred ways to differentiate the bass sound from the rhythm guitar sound in your compositions and performances? Which of your newest songs represent the most distinct bass-line and rhythm-guitar compositions? Nalle Pahlsson: I really don’t know. It’s hard to tell because I don’t see things in details when it comes to music. I see it as a whole and I sort of â€just do itâ€. The way I look at it, both bass guitar and rhythm guitar belong to the basics when you’re playing in a band â€“ the foundation of the whole thing. If I had been been a house builder I would probably have the job working with cement, fixing the floor and walls to make it all stable and safe. For songwriting, I prefer to use my guitars of course, but for example the song â€Breakoutâ€ on my album was built on a riff I came up with while playing bass. In Europe there does seem to be a strict difference between work and hobby. Is this perception also true in Sweden? NP: I can only speak for myself, and the only thing I know is that I’ve always told myself that if playing and touring ever start to feel more like a job than a hobby and joy, I will quit and do something else. I don’t want to destroy the feelings I’ve had for music since I was in my early teens. To me it’s still more or less the same. SB: Are there bureaucratic hurdles unique to the career progress of a Scandinavian musician? NP: Not really, but things were easier in every way in the 80’s and 90’s. The music business is tougher today… It’s harder to make a living from it. And in the 80’s and 90’s you got more financial support by the state here in Sweden because through playing you were â€workingâ€ for Swedish culture, as they called it. Today, it’s much harder and you often have to work with other things in between tours and recordings to survive. SB: Music is still getting consumed, however, so where did all the music revenue disappear to, in your observations? NP: Hard to say, but for me I guess it started around 2005â€¦. But on the other hand I like the way things have turned out. If music business still would have been the same as it was in the 80’s and early 90’s I would probably not have been able to even record my album. The record companies were full of people who should rather have been working with selling cars or maybe even potatoes! Â I’m glad most of them are gone now ! And then we had those people who were â€œalready thereâ€; songwriters, producers etcâ€¦…they kept everything to themselves and didn’t let anyone else in! You were sort of locked outsideâ€¦â€¦â€Catch 22â€. Today you do what you want to! SB: Are there unique opportunities available to upcoming Scandinavian musicians? NP: Today, in Sweden, we have good music schools where you really can get into all sorts of music. When I started to play, everything was about jazz or classical music when it came to musical education. Today I’m very glad I didn’t get into that at all. To play by ear and be self-taught is great. You sort of make your own rules, instead of doing something you have been taught. I taught myself by just listening to what â€the big boysâ€ did. SB: How can upcoming Swedish artists bridge the gap from hobbyist to “professional”? NP: By just believing in yourself. Go straight ahead and move forward with what you do and with what you feel is right. Get in touch with people who already are in the music business and show them what you’re doing and what you stand for. Sooner or later, I believe you will see the results. Do you see any appeal in working with drummers playing on non-acoustic drum-sets (such as midi)? NP: The latest album with Therion â€Fleur des malâ€ was recorded with a digital drumkit. I think it can be OK for recordings sometimes. But, to me, nothing can beat the real thing. With no way to write them down, how do you keep track of compositions? NP: I have good memory when it comes to music, so I rely on that! SB: How do you make sure your musical self-education is competitive with that of note/tab-readers? NP: I am aware I could have many more â€jobsâ€ or gigs if I were a note and tab-reader as well. But the fact is that I don’t want those kind of gigs. To me it’s all about hearing and feeling, to get into the songs and then go out there and blast them out. To sit there and read from a paper, playing for a musical, theatre or whatever…that’s not my cup of tea. It’s the same with the recordings; mostly I listen to a demo of the song I’m gonna record, then I learn it and play it through a couple of times and then I make my own interpretation of the song. As a songwriting-bass playing-singer you represent a rarity in the rock and pop domain. How do you communicate new compositions to (potential) collaborators? NP: I usually play my ideas on guitar. Quite often I have something pre-recorded with programmed drums, bass and guitar. SB: Do you ever begin the songwriting process by composing the bass and vocal melodies? NP: As mentioned earlier, one example is the song â€Breakoutâ€ which is all built on a bass riff. Sometimes it comes out that way, or maybe just by a groove you’ve got in your head. SB: What is for you the preferred or typical recording strategy ? NP: To me, as a bass player or rhythm guitar player it’s very important to start with the drums. That’s where it all begins. It’s just like building a house. You don’t start with the roof, do you? Then the bass, rhythm guitars and keyboards. But it depends on the circumstances, of course. SB: For you as a music consumer, what have been the most inspiring singing-bassist performances? NP: One of my biggest inspirations comes from the album â€Burnâ€ by Deep Purple. Glenn Hughes had such a huge impact on me, both as a singer and bass player. Hughes and another singing bassist, Steve Priest from The Sweet, were actually the guys who made me take the decision to become a bass player. Both of them had that great combination of being both singers and bassists. Later on, I also started to listen a lot to the band Rush, with Geddy Lee, who also had the same talents and skills. Gene Simmons of KISS is also one of my favourites. John Wetton from the band U.K. as well. And Phil Lynott of course deserves a mentioning! 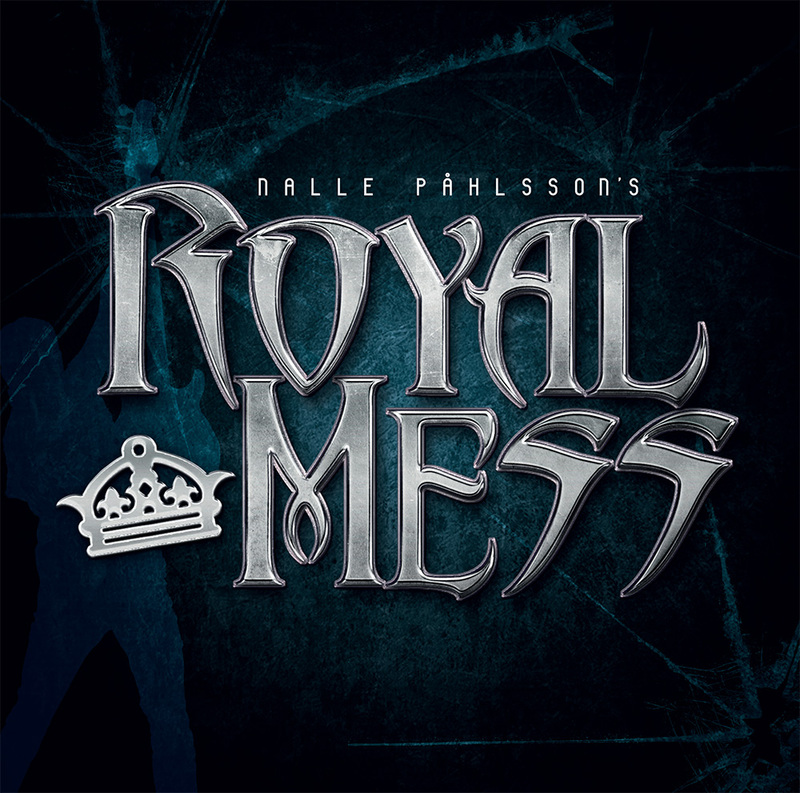 SB: Which song on your upcoming album â€œRoyal Messâ€ was the most difficult to complete writing? NP: I don’t think any of the songs were â€difficultâ€ in any way, but I guess the ballad â€The pieces of my heartâ€ took a bit longer to finish with the string arrangements, fret-less bass and effects etc. I did everything except the drums on that song, including programming the keyboards. SB: Which song on Royal Mess is likely the most difficult to learn to perform? NP: I really don’t know, since we haven’t tried them out live yet… We will do a release gig at October 10th in Stockholm. We’ll see how it will work out a couple of days before at the rehearsals. I usually stick to what is pretty basic and simple when it comes to playing. My motto is â€Power & Simplicityâ€. SB: Do you ever record singing and playing simultaneously? NP: So far, I haven’t. For the recordings, I think it’s best to focus on one thing at a time. SB: What are your touring plans for Royal Mess? NP: Too early to say, really. The only thing I know so far, is that we will play a couple of festivals in Sweden next summer. SB: Who will be your performance band for Royal Mess? SB: Please describe your planned performance equipment for Royal Mess, including pedals, amps, guitars. NP: Many people ask me how I get my bass sound. The secret (which is no secret) is that I only play through a Tech 21 SansAmp straight in to an interface for the recordings. And I do the same when I play live! I play basses from Yamaha: A BB1600 from 1986 and a new one – BB1024X. Iâ€™ve been using Yamaha basses from the BB-series since 1986. In 2004 I got endorsed by them, almost “by accident”! Â I just wanted a spare bass for a tour I was gonna go on, then coincidentally I got to know that “a friend of one of my friends” was working at Yamaha, and he offered me this endorsement……after I had been using their basses for about 18 years! I guess the rest comes from my hands. I can use almost any equipment for monitoring, but I prefer Marshall for bass. Already in 1989 I was tuning my bass from D to B. So I actually don’t have a G-string on most of my basses. The reason is that when the 5-string basses came out in the 80’s, I always thought they felt uncomfortable to play. Either the necks were too wide or if you wanted a more slim neck, the strings were too tight together.. So I just thought, â€œIf it’s bass – it should be BASS! Who needs those high tones anyway? For the kind of music that I play the most, it’s not very often necessaryâ€. But of course I also play ordinary bass tuned from G to E.
â€¦..What many people don’t know is that I started my professional career as a Slap and Funk bassist. And I can still play some of it. Â Maybe I’ll come up with some of that in the future. We’ll see. SB: Will you play fret-less bass when performing â€œThe pieces of my heartâ€? NP: No, if we’re gonna play that song live I will stick to my ordinary bass. On the album the song contains both ordinary bass and fret-less bass. The fret-less I used there was only as â€œan added effectâ€. SB: Plectrum, or finger plucking? NP: Ninety-nine percent of the time I play with a plectrum (1mm Dunlop Super Grip). Â I also use my index finger together with the pick like guitar players often do to get that extra crunch. So very often after a few gigs on a tour, my nail on my index finger is already pretty damaged. SB: Do you plan acoustic concerts or acoustic portions of your concert? NP: My plans for the live gigs haven’t really started yet except for the line-up. We will play at the release gig in Stockholm on October 10th, and that will be sort of a try-out to see where to go from there. SB: Where and when was the album Royal Mess recorded? NP: The recordings began in Polar Studios, Stockholm with Ian Haugland and Chris Laney as early as 2011. Then we continued in XTC-Studios, Stockholm. All the bass, guitars and vocals, I recorded in my home studio. SB: Please describe your home studio. NP: (Laughing) I don’t even show pictures of it! My home studio where I lay down most of my tracks for recordings is actually 11 years old! Â I’m totally â€œStonehengeâ€! Â On the other hand I have many friends who constantly have problems and troubles with their equipment – and they have the latest stuff there is! My stuff goes on like clockwork – since 2004! But I only use it like a digital â€œtape recorderâ€. Then Chris Laney puts my files in his modern computer for mixing. My music is just straight forward rock and doesnâ€™t need very much technical stuff for recording. SB: The upcoming album is the first album on which you sing lead-vocals on every song. Â Which song was the first to be written, when was the first song written, and which song was the most recently written? NP: â€œSee You In My Dreamsâ€ is definitely the oldest song of the album but is also sort of an â€œoutsiderâ€. Â I wrote it in 1986 to my brother Benny who died July 1st the same year. It was recorded several times by other bands and artists, but for some reason it was never released. None of those versions were ever releasedâ€¦â€¦ Now it’s finally out! The most recently written song was â€œMr Freedomâ€ I think. SB: Do you have any special advice for bass-playing singer-songwriters? NP: To me it’s all about the music, not the playing itself. I see the bass as a tool to make and express the music you have inside of you. An important thing is to practise coordination. Sometimes it can be pretty hard to sing and play at the same time, but all you need to do is keep on practicing. In the end you’ll get there!